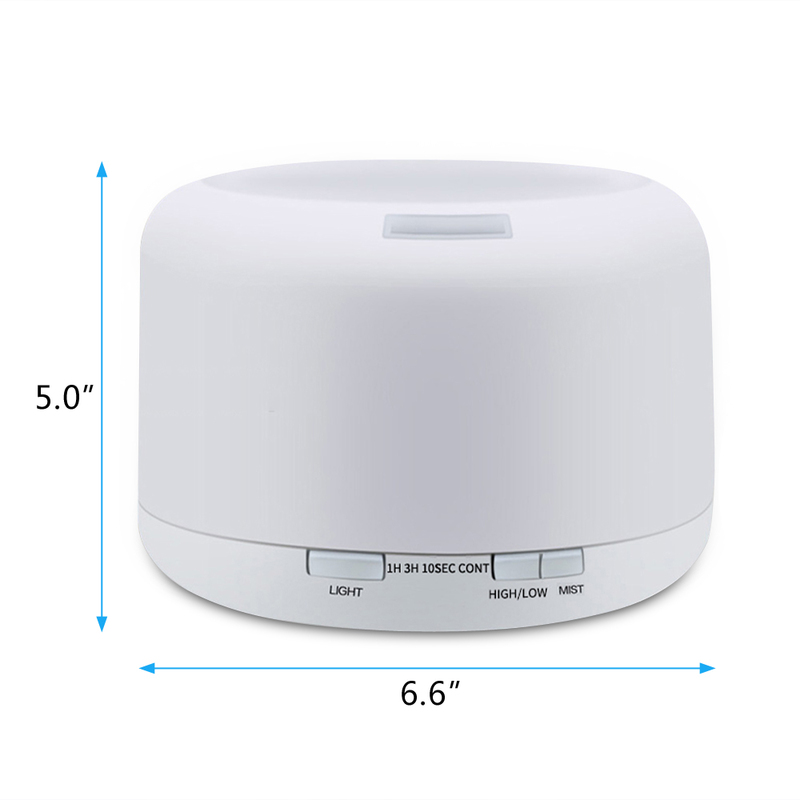 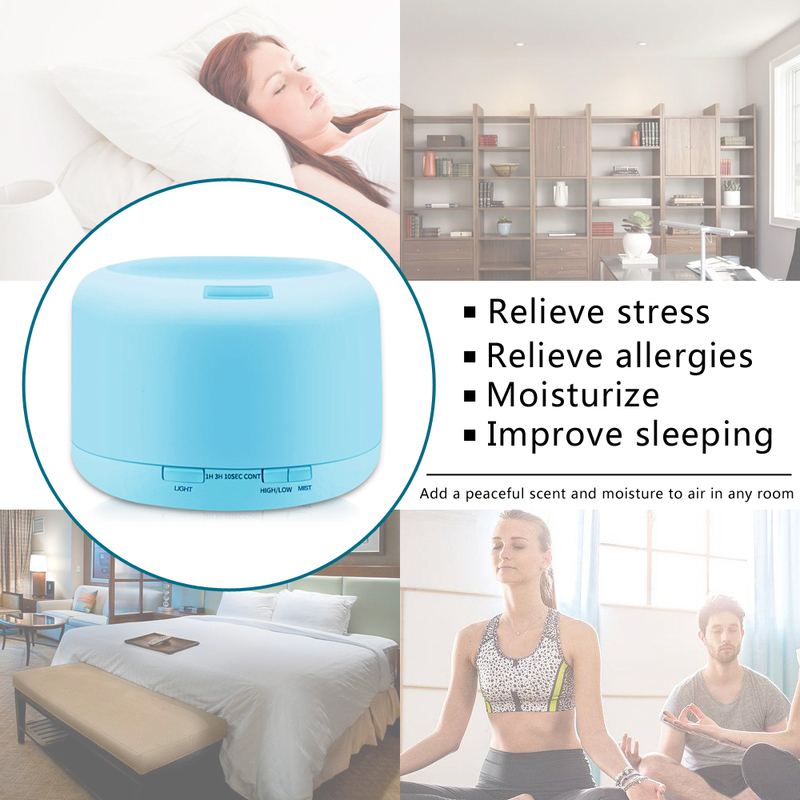 Aroma Diffuser， it can relieve your stress, allergies, improve sleeping. 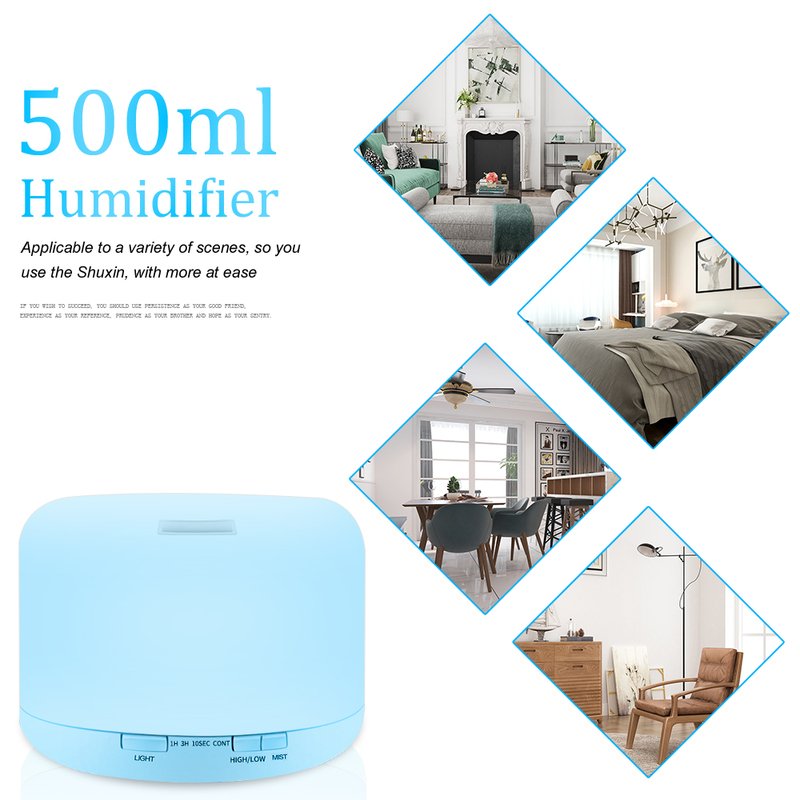 It also will add a peaceful scent and moisture to air in any room. 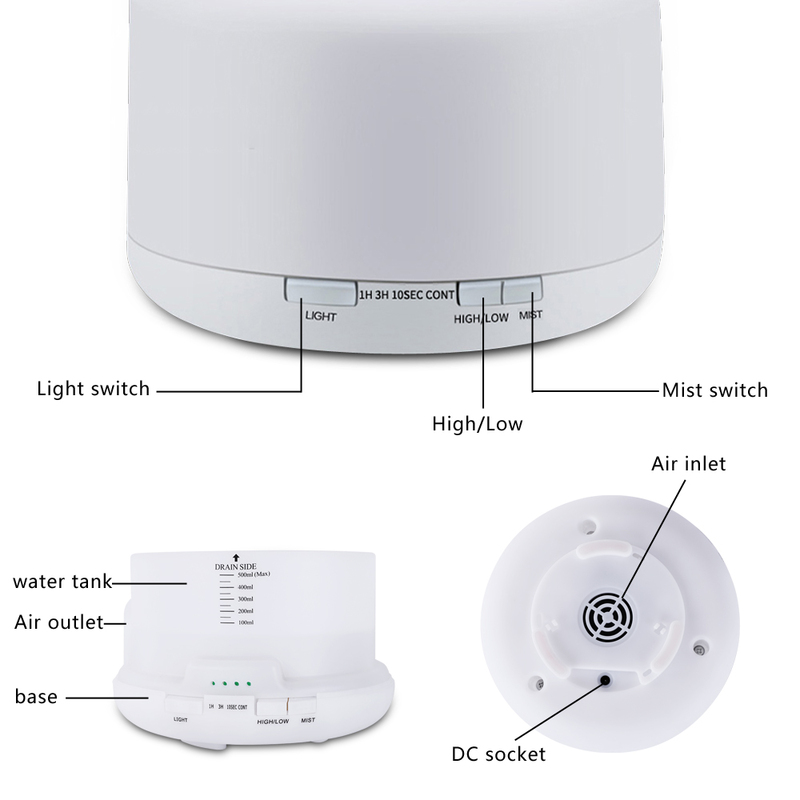 It is easy to maintenance, it will make your life more comfortable. 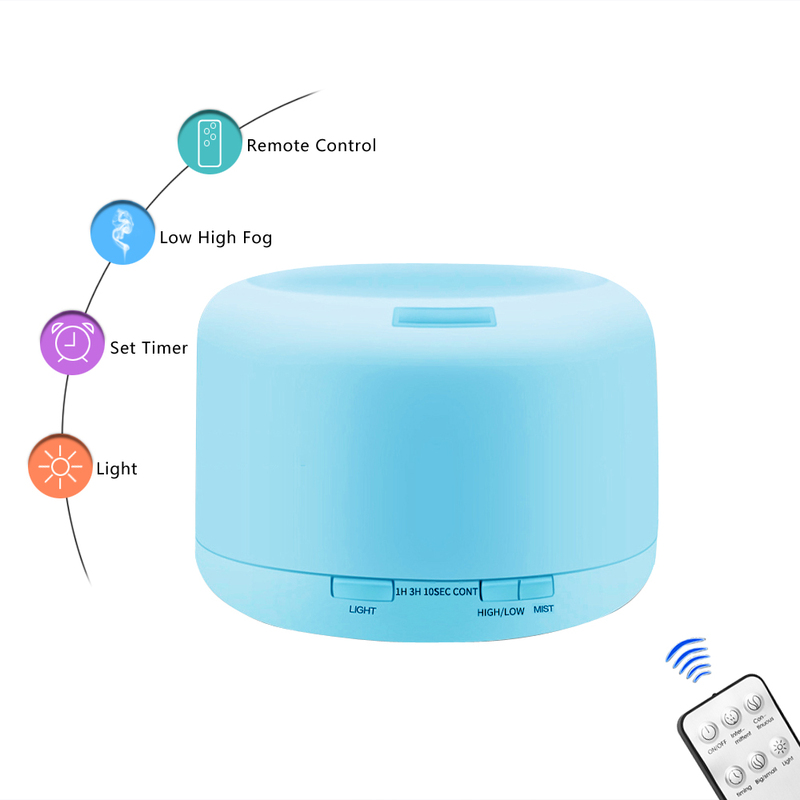 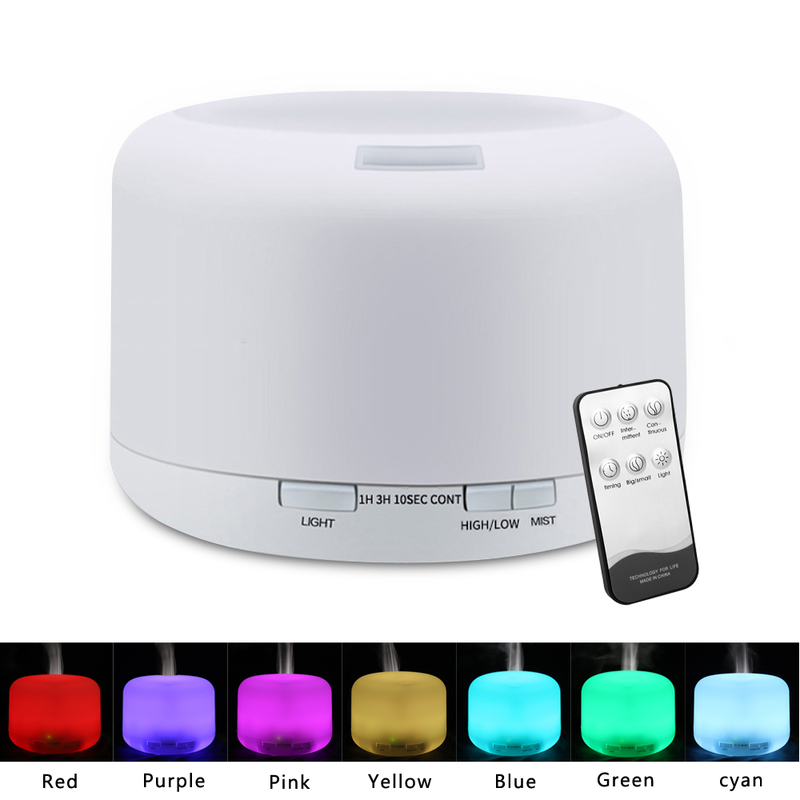 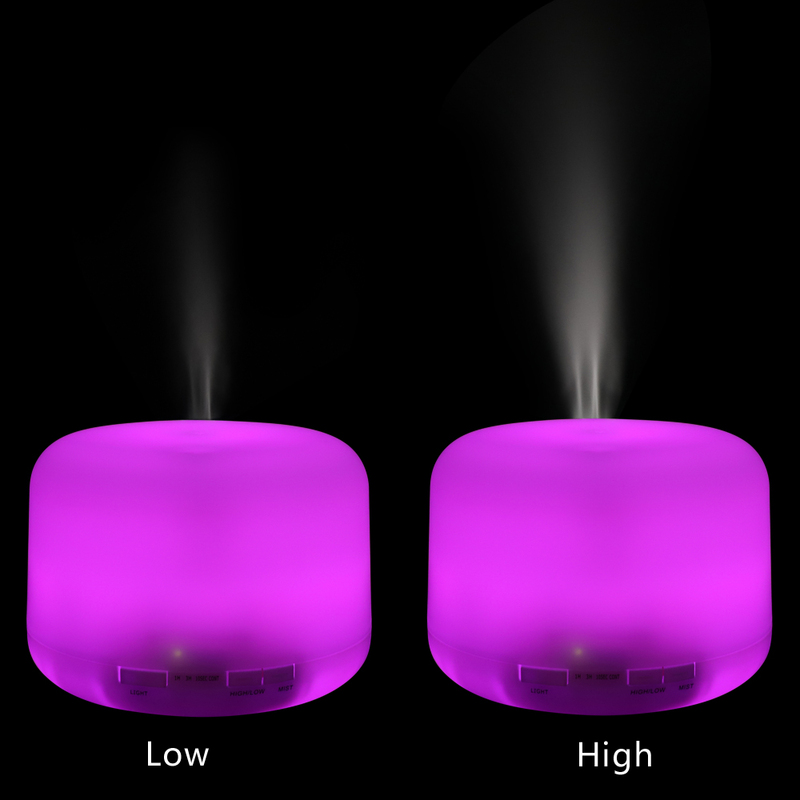 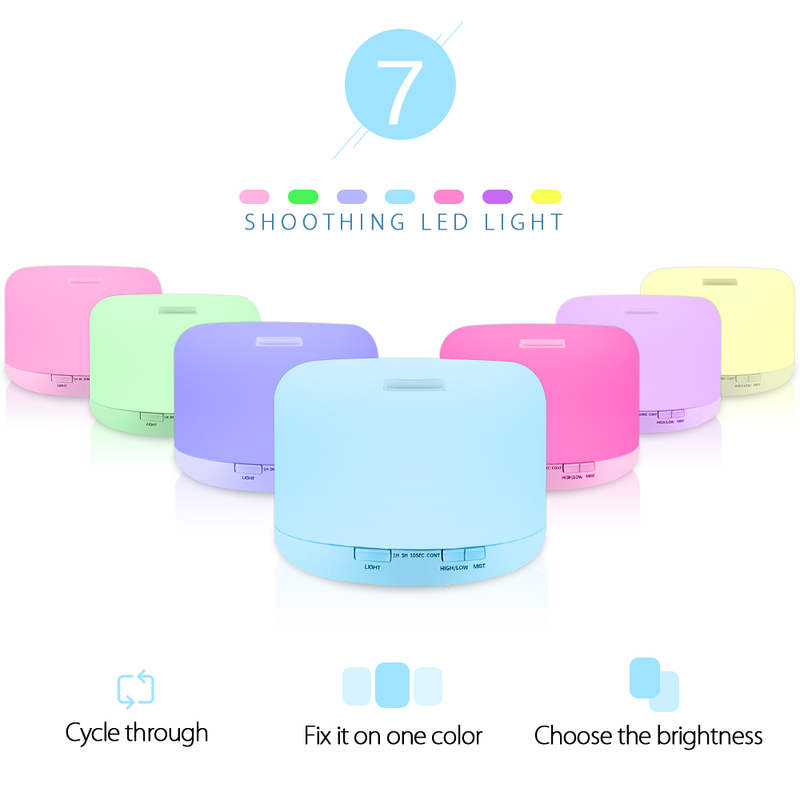 I am very satisfied with this humidifier, I keep it in the color changing mode, because I found it very soothing at night, but you can choose to keep it as a constant color of your choice. 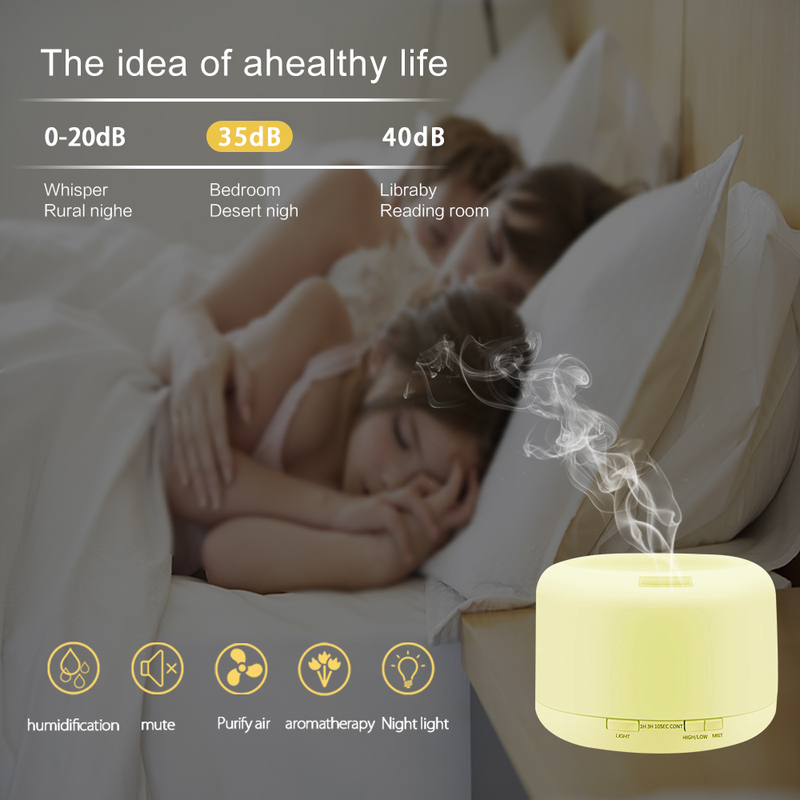 It is highly recommended to buy.